Let me be direct: this post concerns a fitness and nutrition app. If this knowledge tempts you to click away in disgust or speed dial a therapist or reach for an ice cream container in defeat, you should know that 8fit is unlike other health improvement apps. 8fit doesn’t promise weight loss without any effort or via miracle food. Nor does 8fit require individuals to switch to a strict diet or begin an unsustainable exercise regimen. Instead, 8fit gives you customized workout plans you can follow instantly. If you want to turn your brain on, 8fit will help you tweak habits so that you can achieve goals and set yourself up for long-term healthier eating and physical activity. They’ll give personal training to help with this; it isn’t just a “do this, do that” app. What 8fit asks of its users is modest and sane, hence, manageable, and far more likely to produce successful results where so many other apps fizzle out. 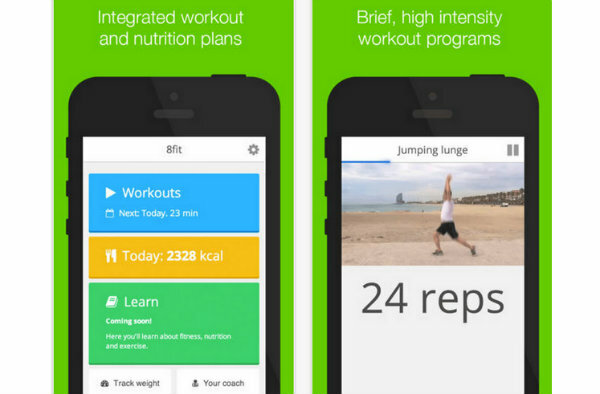 8fit is a mobile-first app (available on iPhone and Android devices, or as a web app) that functions like a personal trainer. 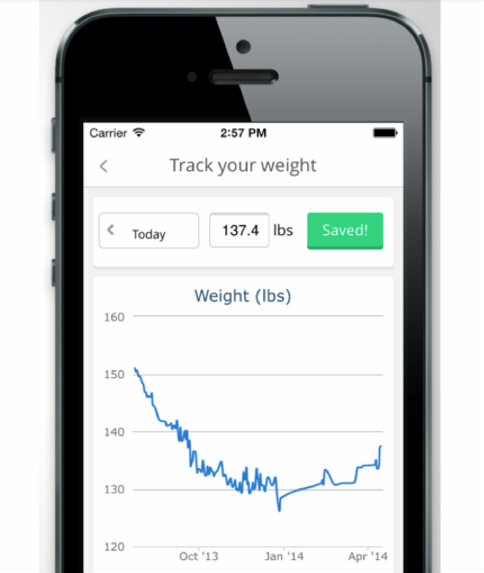 Users state their goals and record their weight. 8fit then provides custom exercise and nutrition plans tailored toward reaching those goals, all designed to make getting fit simple. Based on proven workouts and diet, 8fit drives people toward healthier habits. Fifteen to twenty minutes of efficient exercise (done at the right time and at proper intensity) along with following dietary recommendations (that include some leeway for those beer or snack cravings) intend to put individuals in control of their health over the course of 8 weeks. 8fits’ plans aim to optimize efforts and reprogram the body to want fitness. Feeling and looking good become a somewhat addictive form of having fun. Best of all perhaps, since workouts can be done at home, you can stay clear of the gym if you like (hallelujah!). It’s really the integration of diet, fitness, and personal tracking that sets 8fit apart from their competitors. This is a holistic tool that combines education with training and motivational reinforcement in order to help people achieve fitness fast. Do yourself a favor and check out the fitness and nutrition guides on the 8fit website. These give no-nonsense, no-shtick information that is truly empowering. Let’s face it: the startup industry is seldom the best model of healthy living – unless we consider sleep deprivation, a diet of excessive caffeine and energy drinks, high stress, and countless hours seated in front of a glowing screen to be the image of perfect fitness. So, it’s no joke when the app’s founder is convincing proof that 8fit can transform anyone into a slimmer, healthier, energized person. David Landau is an avid martial artist, meditator, and weight lifter. He’s been obsessed about self-optimization since he was 13, and constantly designs systems for personal and professional growth. He regularly writes for the 8fit blog and coaches users 1:1 on the most efficient and holistic ways to improve their health. Pablo Villalba was an engineer displeased with his appearance in the mirror. Determined to change, he bought himself an activity tracker, began exercising, and read an unwholesome amount of nutrition related articles. 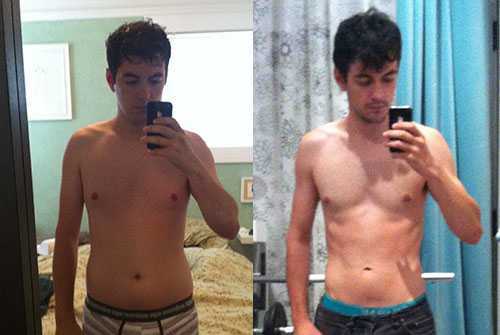 He lost nearly 20 pounds of fat in 3 months! (Check out the before and after photos below.) Coaching some friends to similar results convinced him that he had a winning concept. Prior to starting 8fit, Pablo built Redbooth (formerly Teambox) from the ground up. He is joined in this venture by 8fit co-founders David Landau and Pedro Solá. Pedro served as a vital part of the winning formula at Teambox. David is a four-time founder, advisor, speaker, and analyst whose previous startup has grown quickly to $5M in revenue. One Month of 8fit for FREE! In the “can do” startup world, there’s nothing better you can do for yourself than getting into great shape. 8fit offers virtual personal training in fitness and nutrition. KillerStartups readers who join 8fit will receive their first month of personal training for free. When you join 8fit, you’ll get a personal coach to guide you in your diet, exercise, weight loss and strength training goals.